Tieto becomes Puppet’s largest ‘Gold Partner’ in the Nordics as the two companies join forces to help highly-regulated businesses, including finance organisations, on digital transformation journeys. Puppet’s industry-leading automation platform to aid and support their digital transformation journeys. Tieto’s comprehensive DevOps knowledge, deep technical skill set, and expertise in highly-regulated sectors such as the finance industry, enables it to understand the complexity of any customer’s environment. 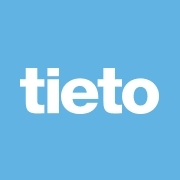 Tieto, together with its ecosystem of tools and partners including Puppet, works to lead customers through transformational projects from bespoke project planning, through to implementation, and continued aftercare and support. Tieto’s expert DevOps teams are made up of certified agile software developers, testers, operations, and automation consultants who support customers from the planning process, the tooling solution, and the migration and implementation process. Tieto DevOps Space solution covers end-to-end toolchain, which gives customers the opportunity to choose from world-class tools and components to match their individual requirements. As Puppet’s gold partner, Tieto will receive ongoing support and collaboration to ensure its experts have access to deployment best practices, certification opportunities, and ongoing support and enablement.